The bear was shot by a cruise ship employee, after it attacked an injured another employee. A polar bear was shot and killed Saturday after it attacked and injured a tour guide. The attack happened Saturday morning when a group of tourists went on shore from a cruise ship, according to the Joint Rescue Center of Northern Norway. The injured person, who was transported back to Longyearbyen by helicopter, is reported to be in stable condition. 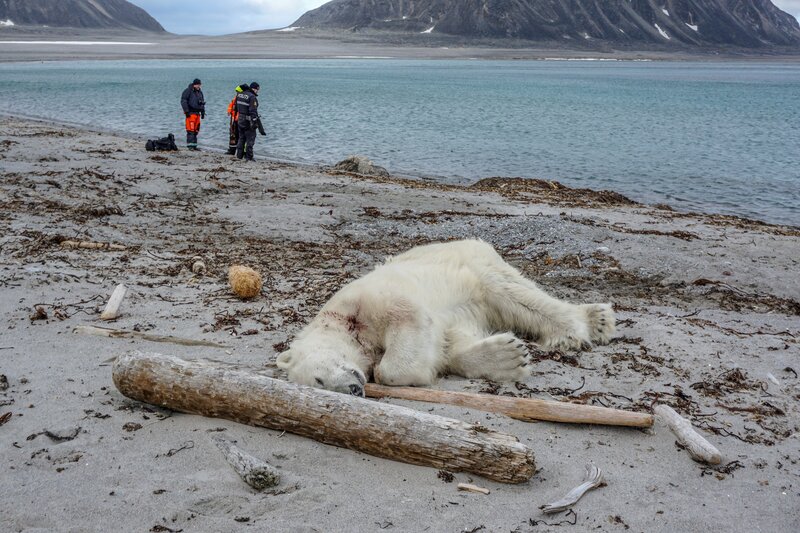 The polar bear was shot dead by another cruise ship company employee. Svalbardposten, who was first to report about the incident, said the tourists belonged to the cruise ship MS Bremen. Responsibility for investigating the event falls to the Governor of Svalbard. On Sunday, MS Bremen operator Hapag Lloyd released a statement confirming some of the basic details reported elsewhere and saying it planned to cooperate with investigators.